Are you ready? Stunning 3D Era is comming! Support Wi-Fi, Bluetooth, USB/TF card, OTG,enjoy massive resources of games and films. The videos you don't want can be deleted. b: You may connect VR to labtop/computer by usb cable, select the folder what you don't want to delete. 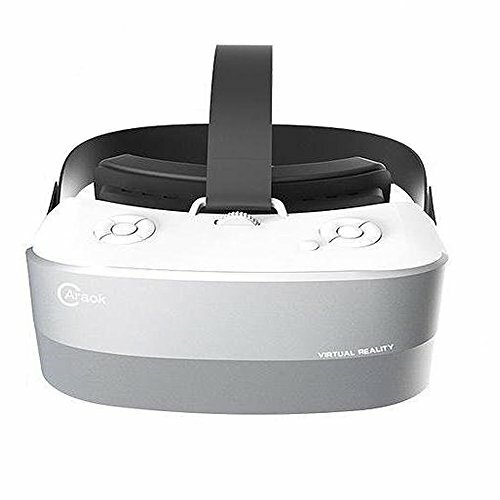 All 3D VR headsets are backed a full 12-month warranty. Any problems, Please feel free to contact us. We will provide professional technical support and friendly service at the first time. 【Note & Package】Note: If some pictures or App you don't want, you can delete them; or contact us, we will send you the upgrade firmware to change the UI and delete them permanently. Packing List: 1 * VR, 1 * User Manula, Cleaning Cloth, 1 * Power Adapter, 1 * USB data cable, 1 * headphone, 1 * Head Strap. Every sale includes a 12-month, worry-free guarantee to prove the importance we set on quality. If you have any questions, don't hesitate to contact us! If you have any questions about this product by Caraok, contact us by completing and submitting the form below. If you are looking for a specif part number, please include it with your message.